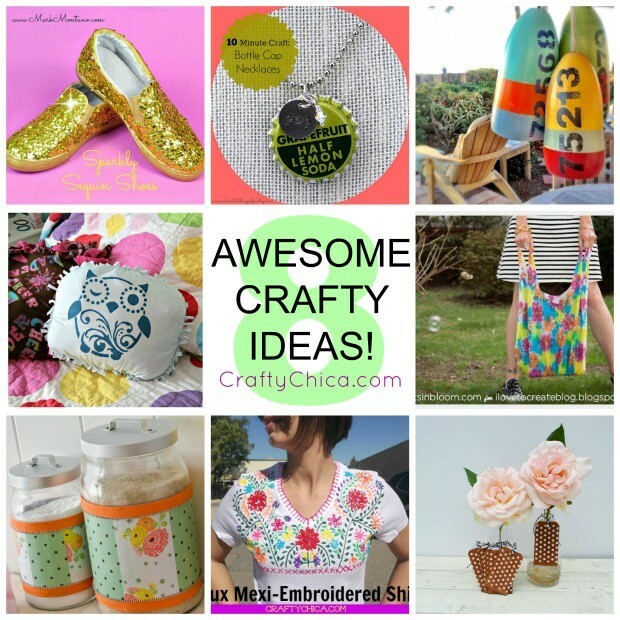 Looking for something fabulous to make this weekend? 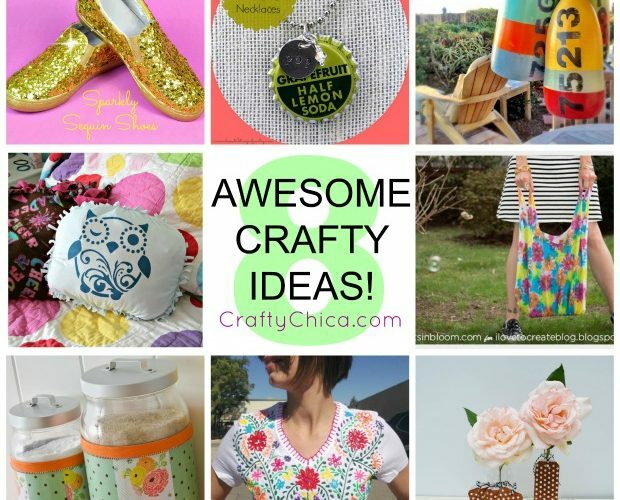 Here are some wonderful ideas from my friends around the web (me too!)! So get out your paint, scissors and flex some crafty muscle! Sparkly Sequin Shoes by Mark Montano! Metal Stamped Bottlecap Necklaces by Margot Potter! No-Sew Pillow featuring new Tulip for Your Home Stencils by Heather Mann from Dollar Store Crafts! Decoupage Canisters by Cathie Filian! Vintage Wooden Labels by Jaderbomb! Painted No-Sew Market Tote by Cathy Attix from Trinkets in Bloom! Recycled Bouys – Pendant Lamps by Debi Beard from Debi’s Design Diary! And here is my Faux Embroidered Blouse! Mark Montano’s Cardboard Couture Cuffs!